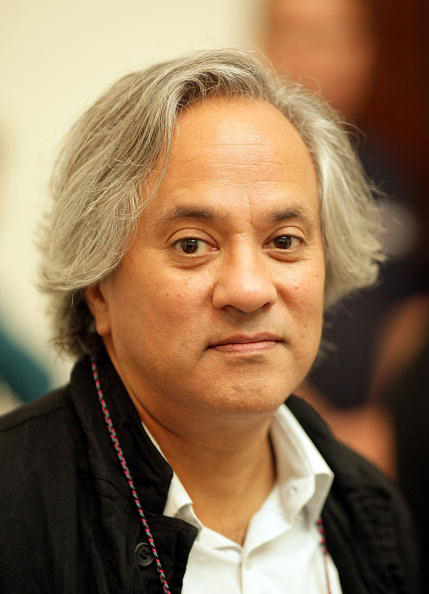 Anish Kapoor, CBE, PA, Padma Bhushan, is widely considered one of the world’s most important living artists. Often working on a monumental scale Kapoor explores natural phenomena, physical dichotomies and metaphysical states. The artist involves the viewer in an experience that can entail a poetic transformation of space or an exploration into the mysterious or mystical qualities of an object. His works suggests alternative modes of perceiving and experiencing the world. Kapoor has received phenomenal critical acclaim and numerous significant accolades. As well as representing Britain in the XLIV Venice Biennale Kapoor is a Turner Prize Winner and the first living artist to have a solo exhibition at London’s Royal Academy of Arts. The artist was commissioned to create a sculpture for London’s 2012 Olympics. 'ArcelorMittal Orbit,' a 115-metre-high (377 ft) sculpture is the largest public sculpture in Britain. Kapoor has been elected a Royal Academician and was made Commander of the British Empire. He was also presented with the Commander of the French Ordre des Arts et des Lettres as well as the Japanese Praemium Imperiale. In 2012 the artist was awarded India’s third highest civilian honour, the Padma Bhushan. Kapoor’s work is held in private and public collections including, the Museum of Modern Art, New York; Tate Modern, London; Fondazione Prada, Milan; the Art Gallery of New South Wales, Sydney; Moderna Museet, Stockholm; the 21st Century Museum of Contemporary Art Kanazawa and the Israel Museum, Jerusalem.